Council’s crews started work on the project at Austinmer Beach earlier this year, which included a new level paved area for ceremonies and the construction of an accessible pathway between Lawrence Hargrave Drive and the memorial. 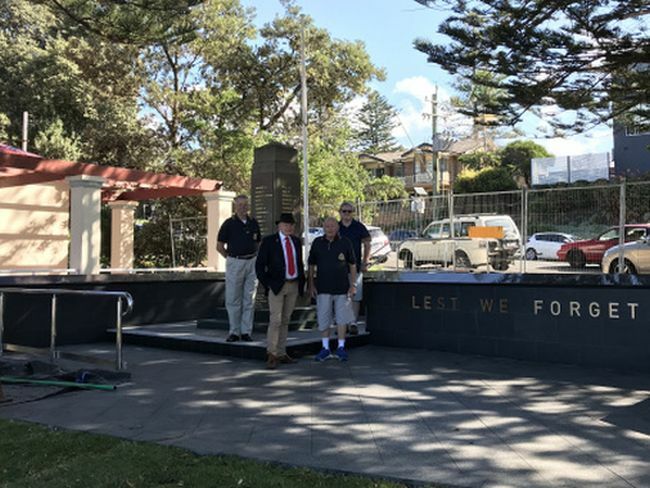 “People participating in Austinmer’s dawn service next Thursday will see a marked difference in this special space,’’ Wollongong City Lord Mayor Councillor Gordon Bradbery AM said. The uneven and aged pavers and concrete path are gone and there is a new granite-clad low memorial wall that really emphasises the significance of the site. “We know our community respects the sacrifice those who have fought for our country have made and we see this in the growing numbers who attend Anzac Day services across our City each year,’’ Councillor Bradbery says.